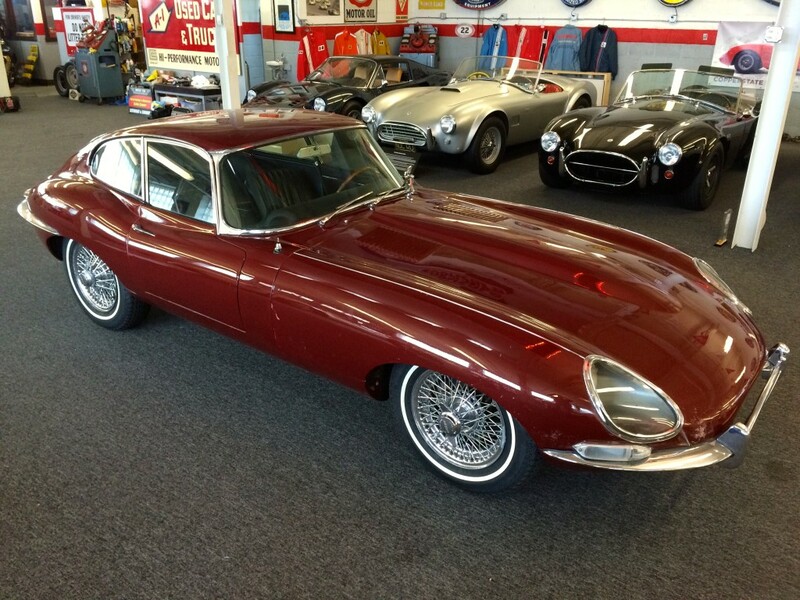 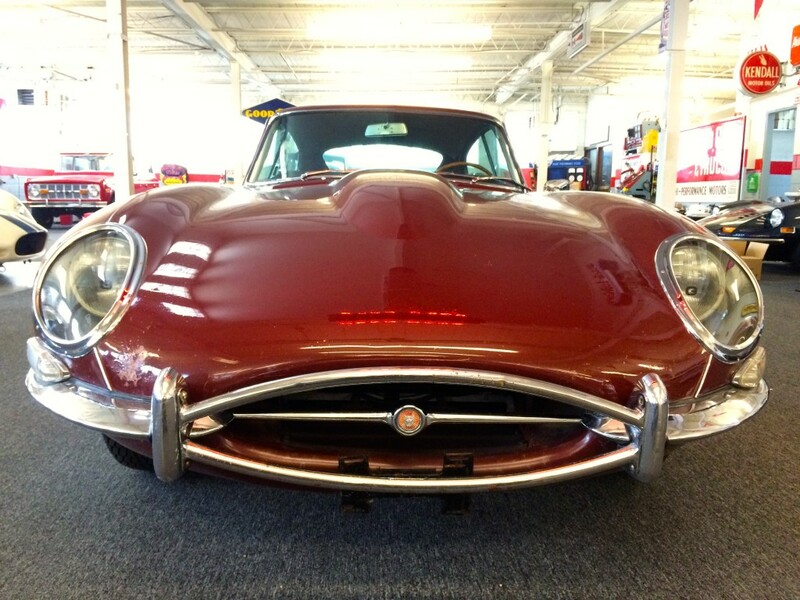 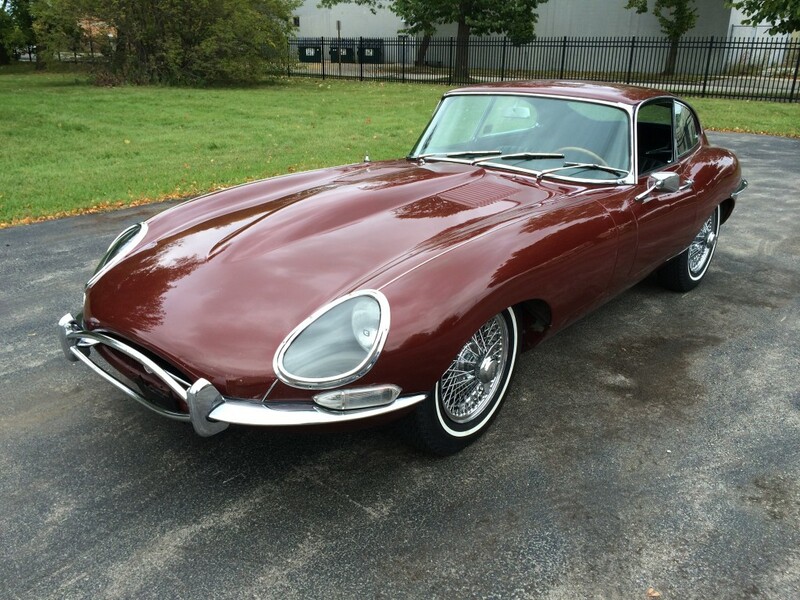 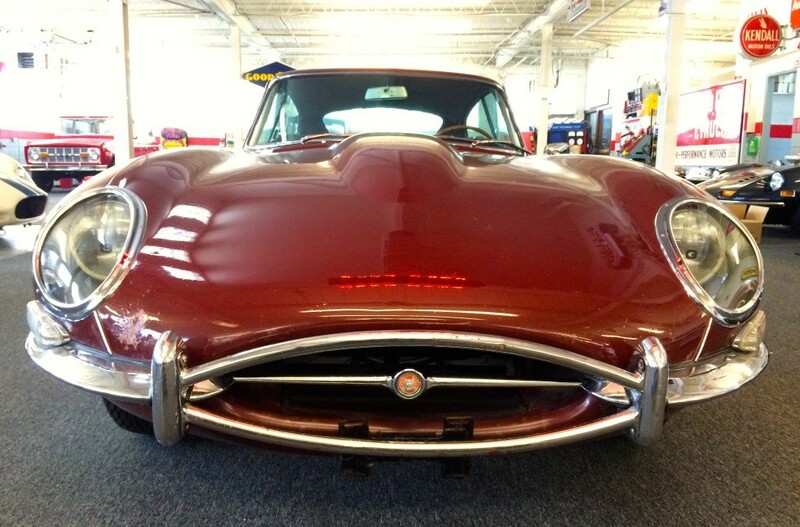 This magnificent unrestored Series 1 E Type Coupe was sold new right here in Milwaukee, Wisconsin at P.J. 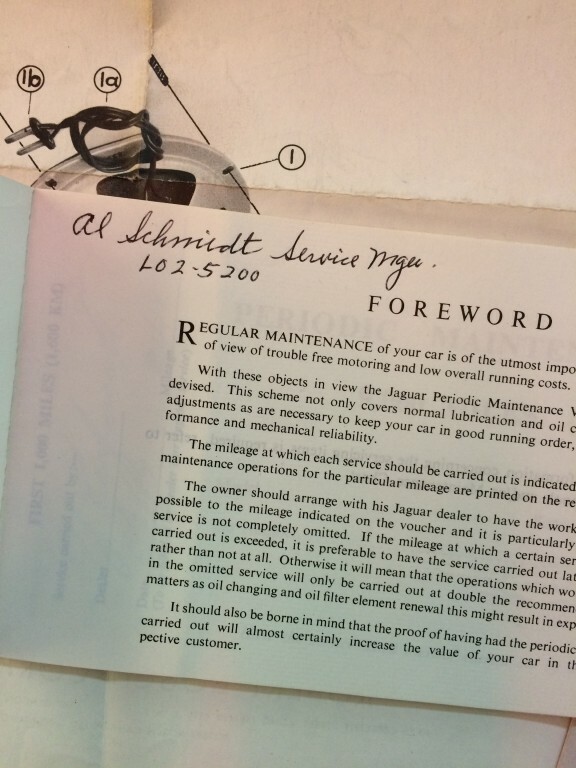 Kaufmann’s Jaguar dealership on April 18th, 1967 to a local architect who went on to use it sparingly over his astonishing 50 years of ownership. 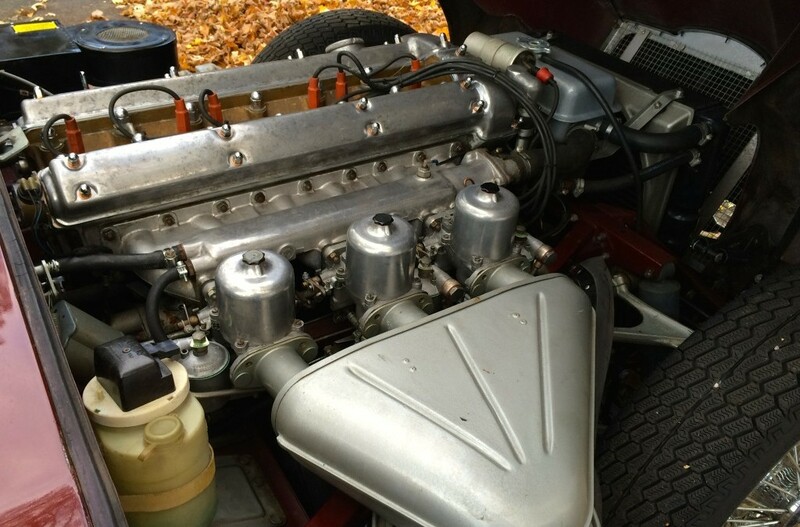 How sparingly? 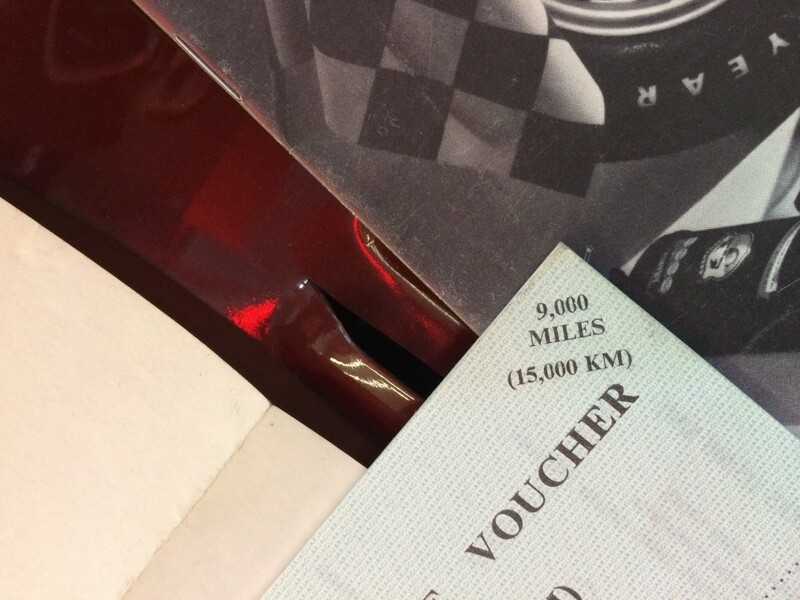 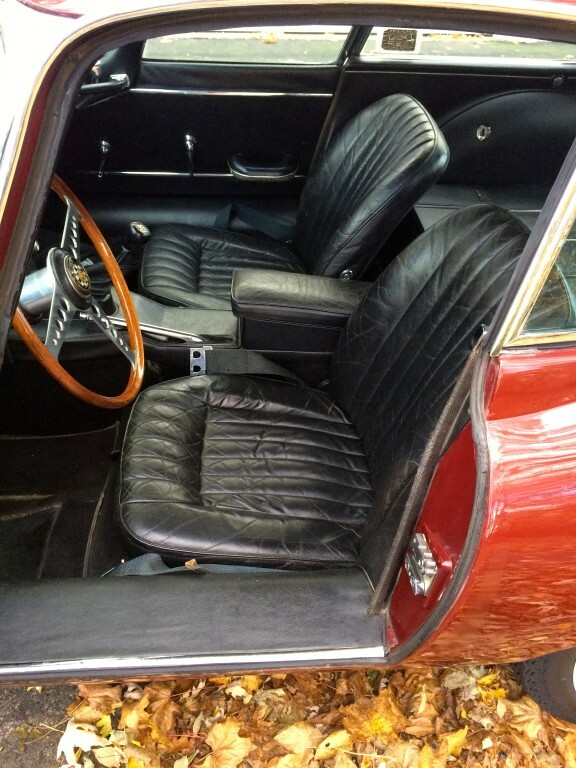 To date it has accumulated a mere 12,000 original miles since the day it was driven out of P.J. 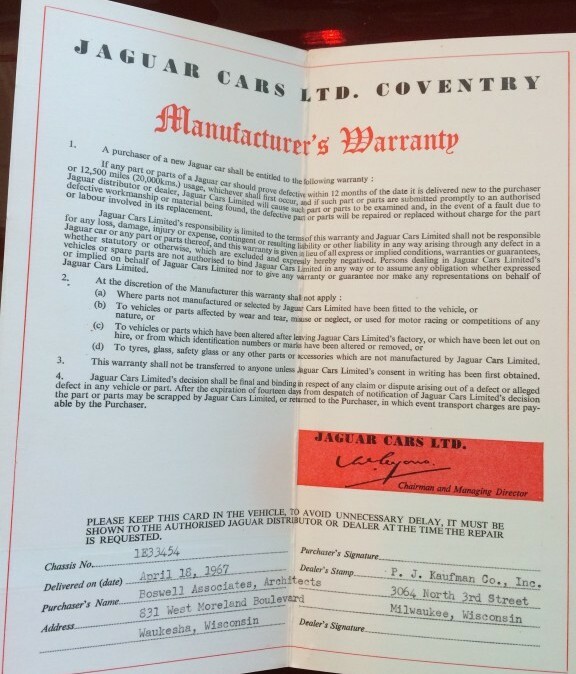 Kaufmann’s dealership. 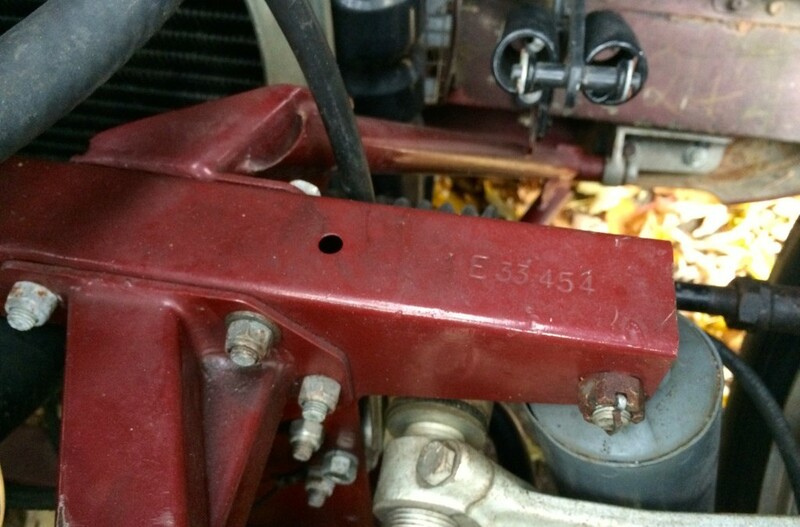 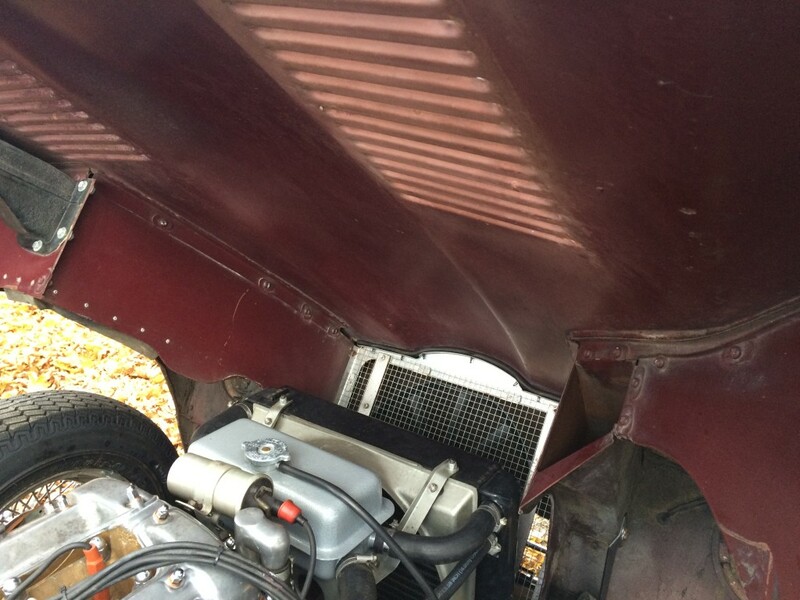 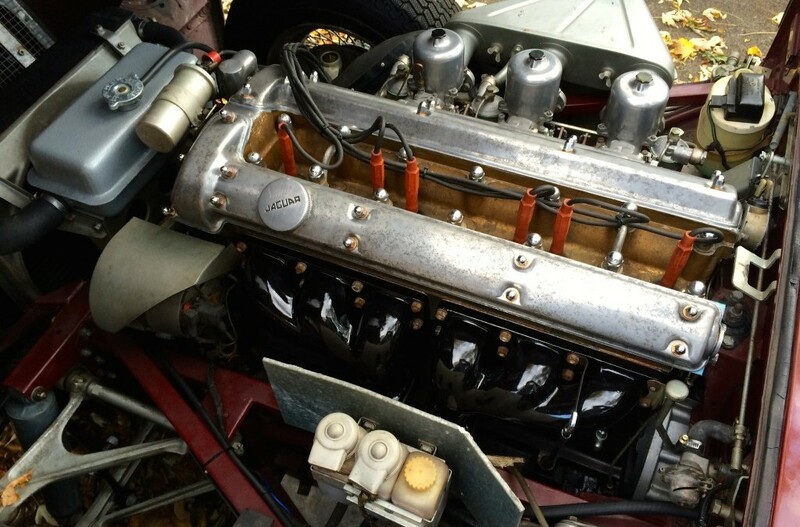 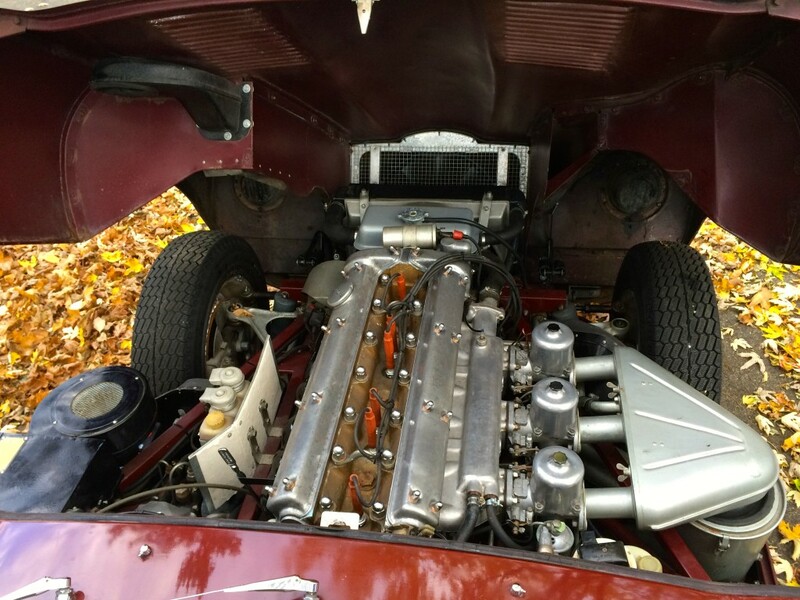 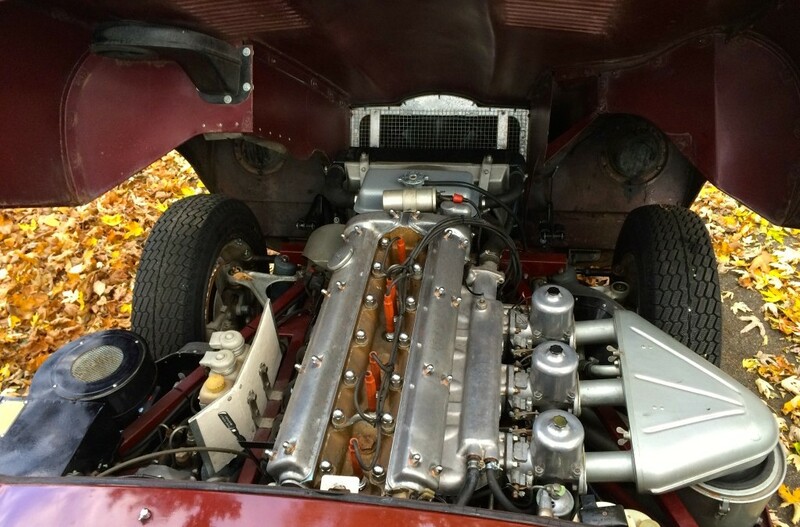 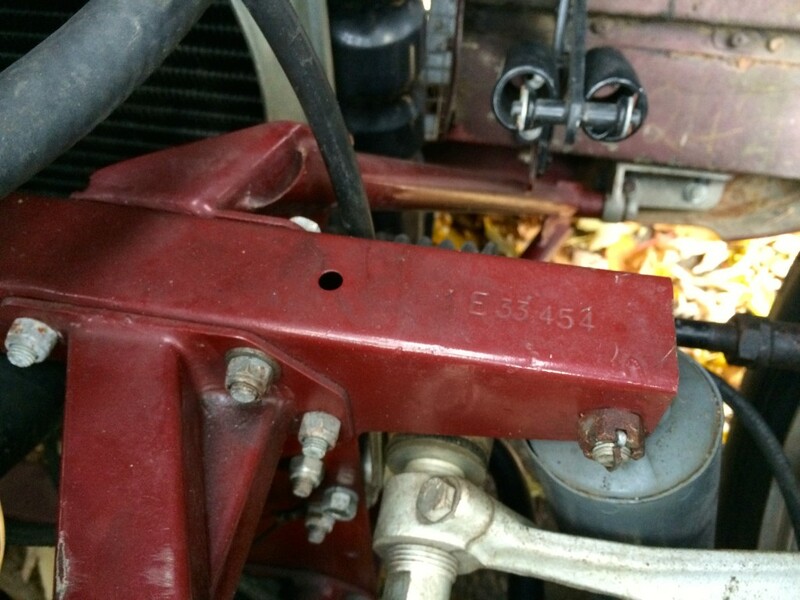 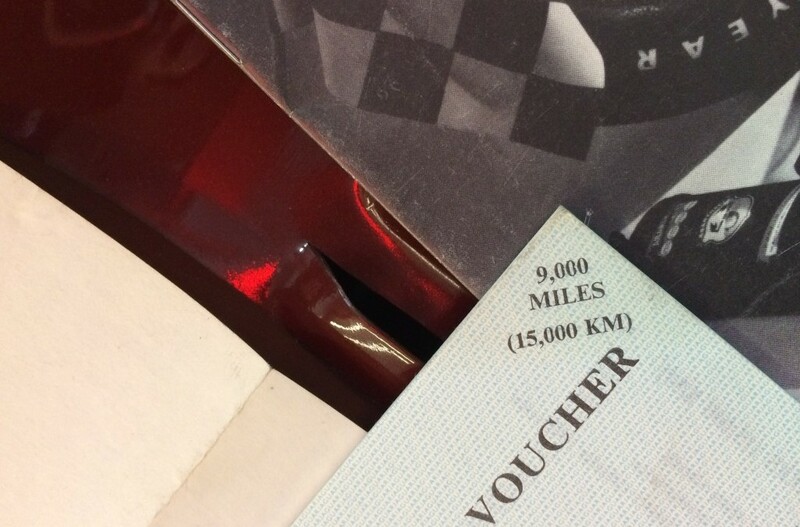 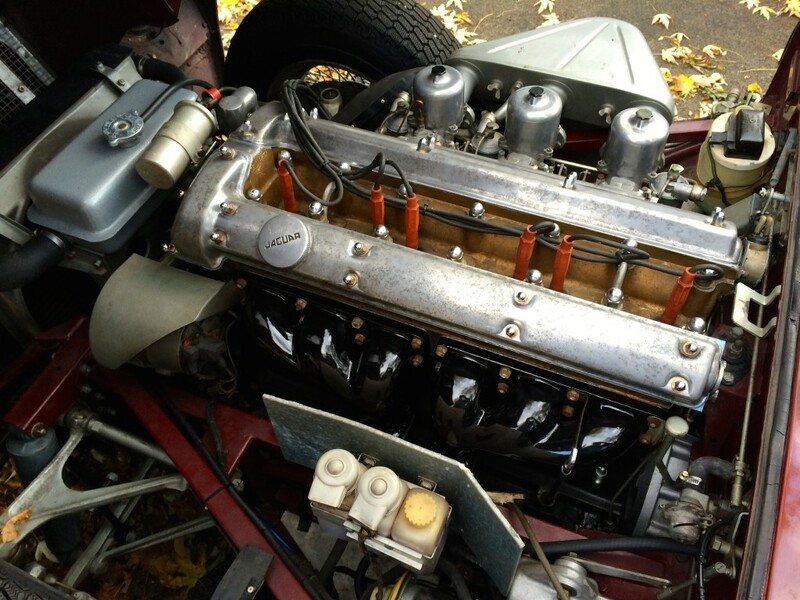 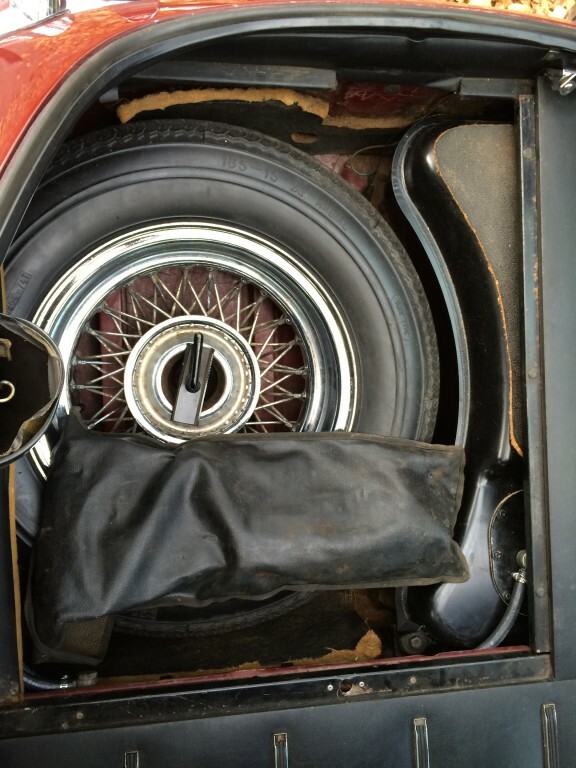 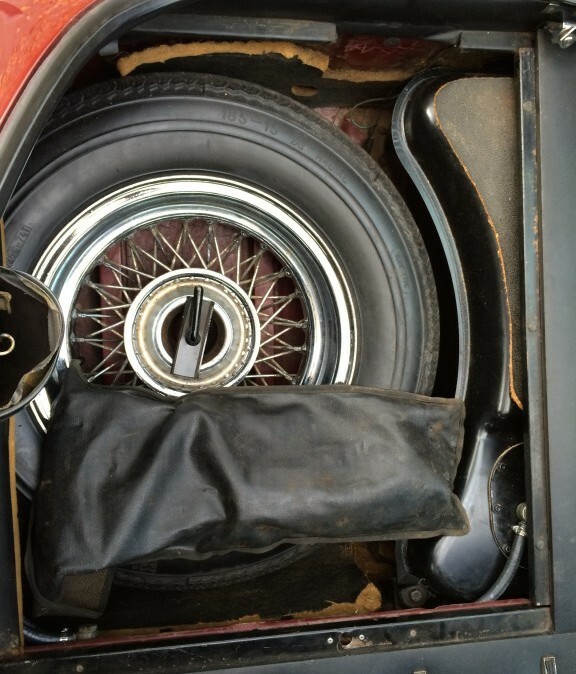 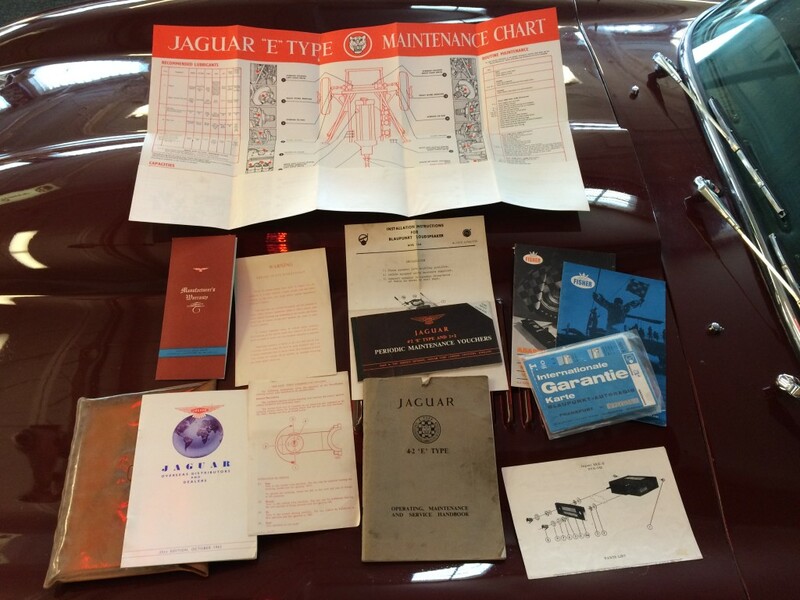 In August of 2014 I purchased this E Type time capsule from the estate of the original owner. 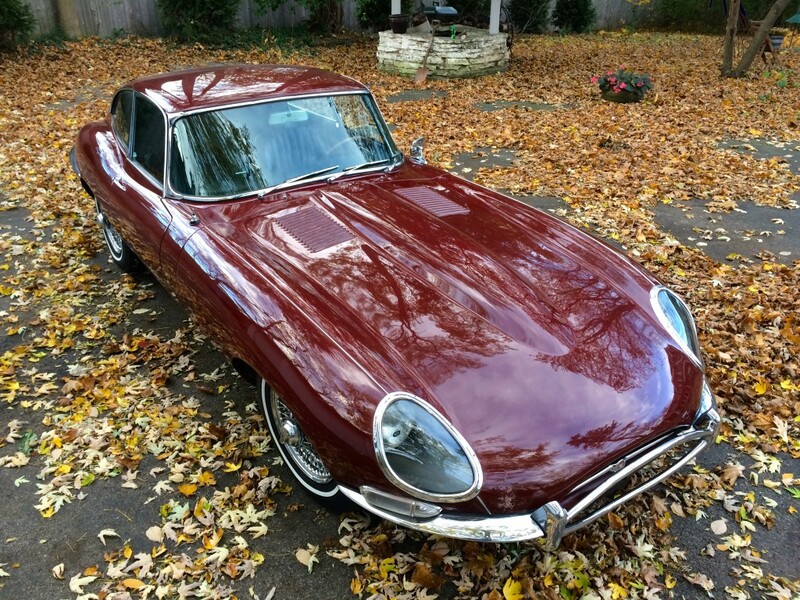 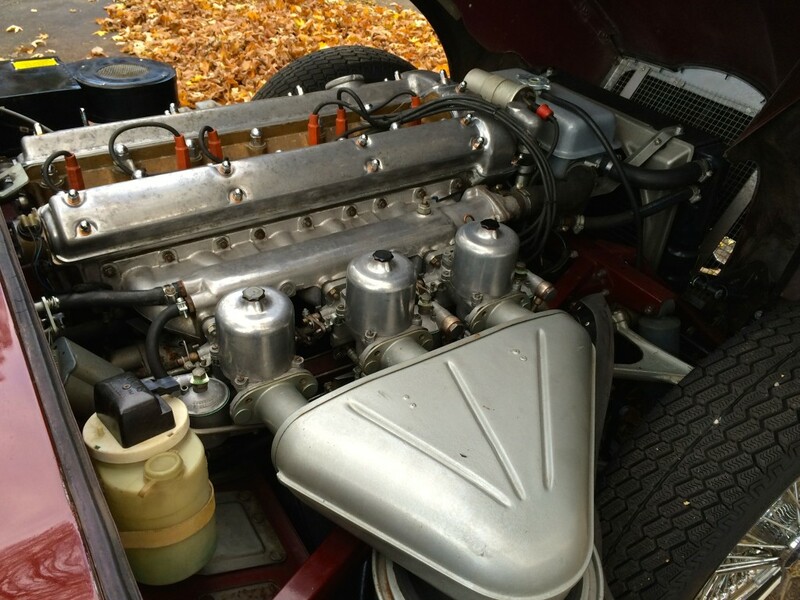 As one would suspect with such low mileage and long-term ownership the E Type was parked more than it was driven, especially in the later years of the original owners care, so upon my purchase I performed a thorough yet sympathetic mechanical awakening. 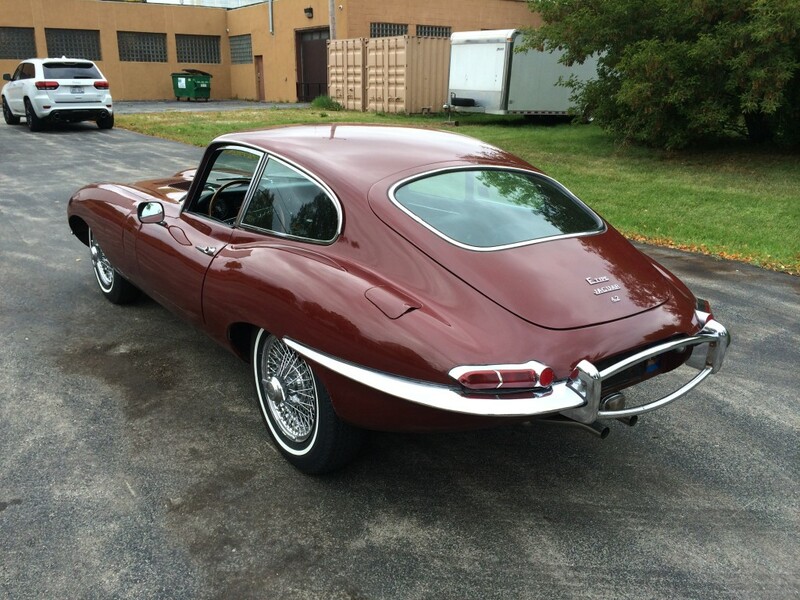 All of the brake, fuel, and cooling systems were fully serviced, new speed-rated 185R15 tires and a Bell polished stainless steel exhaust fitted, all the fluids changed, and a complete valve adjustment and major tune performed. 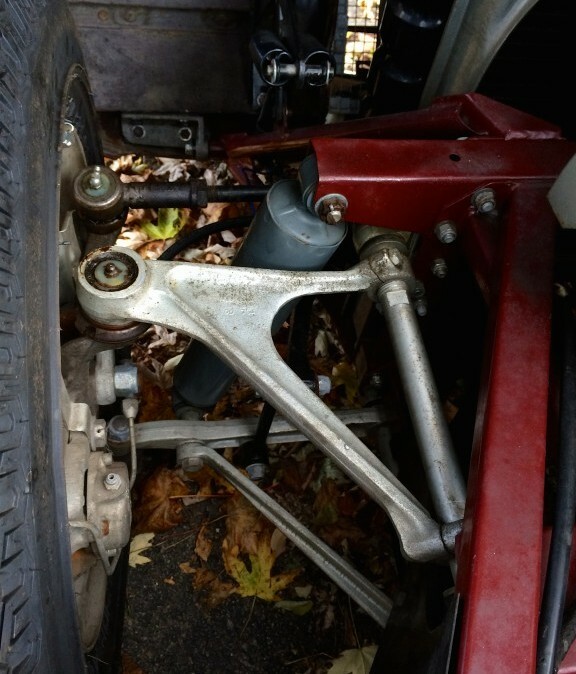 A full wheel alignment was also done just to make sure the car performed as it should. 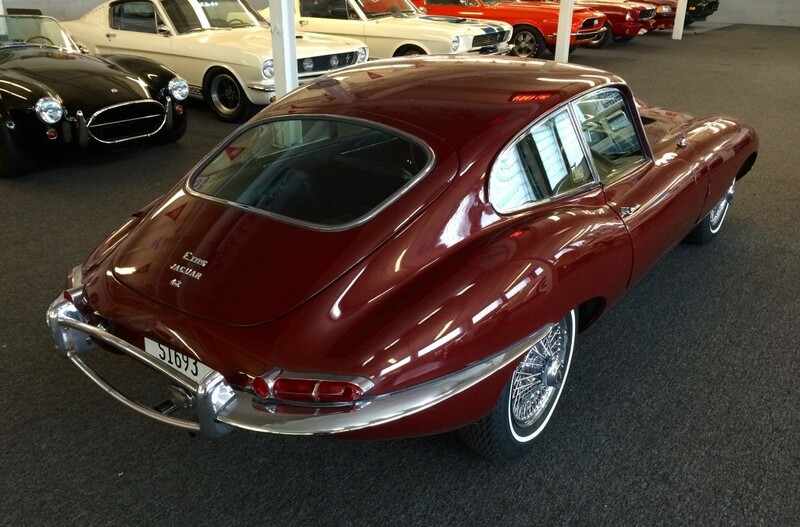 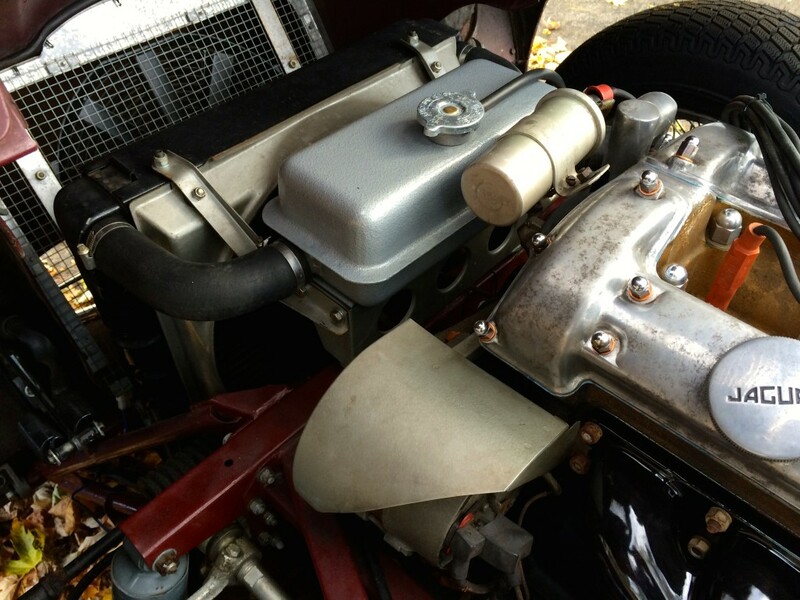 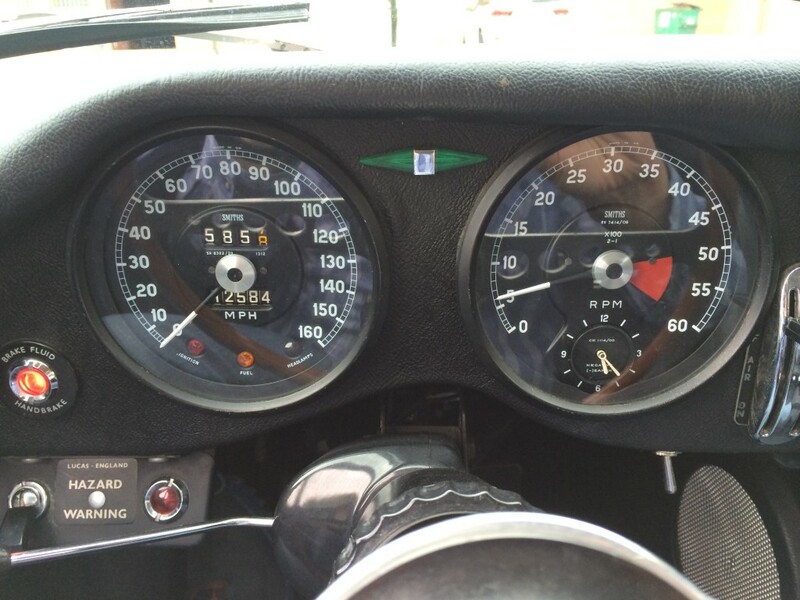 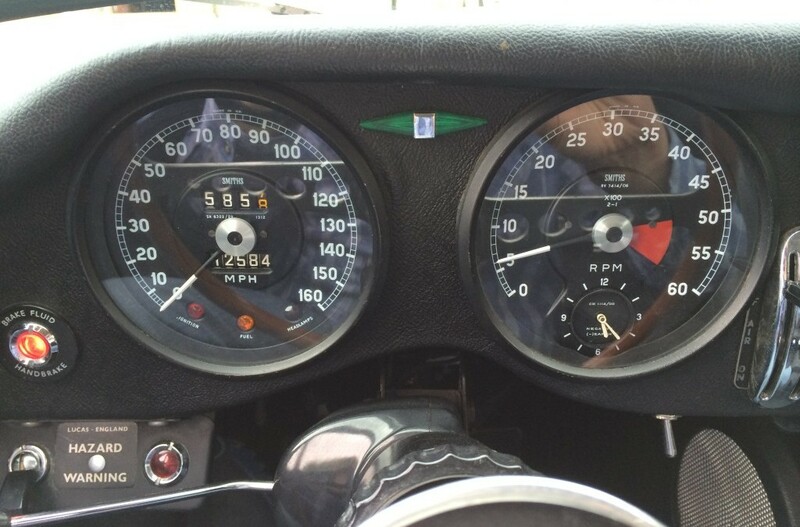 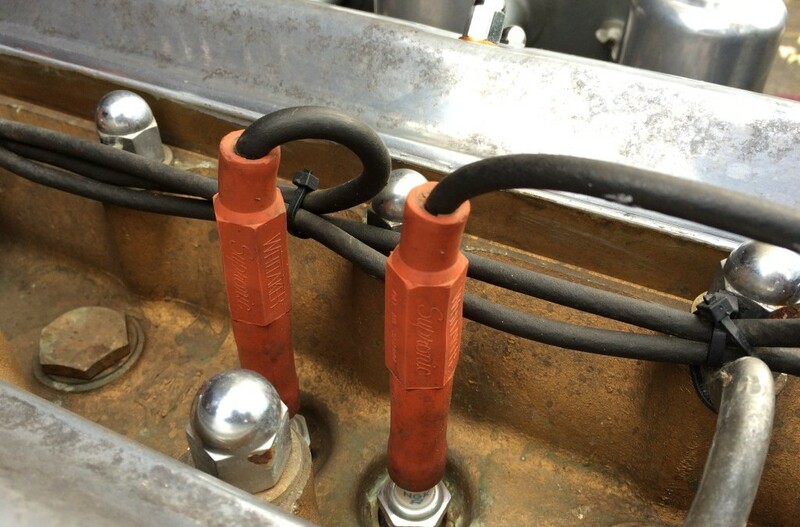 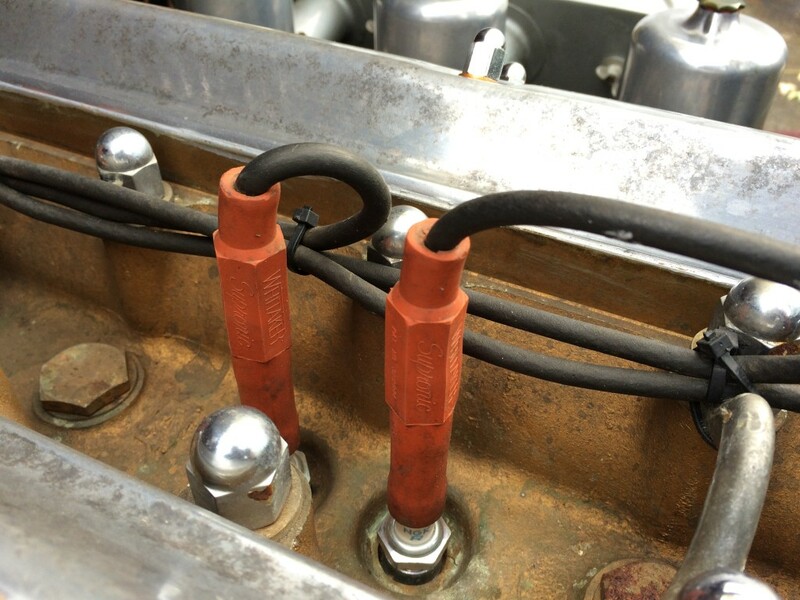 Today the car runs and drives as only a low-mileage, unmolested E Type can. 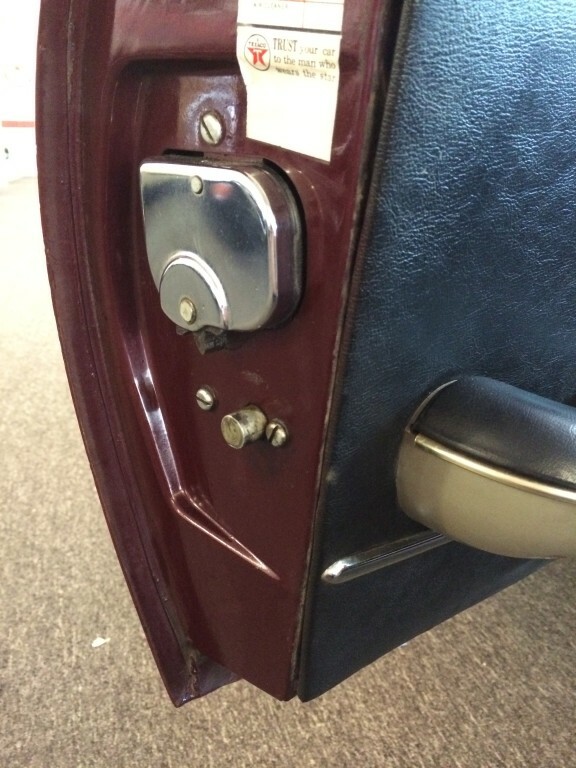 The gearbox is quiet and smooth with perfect synchronizers. 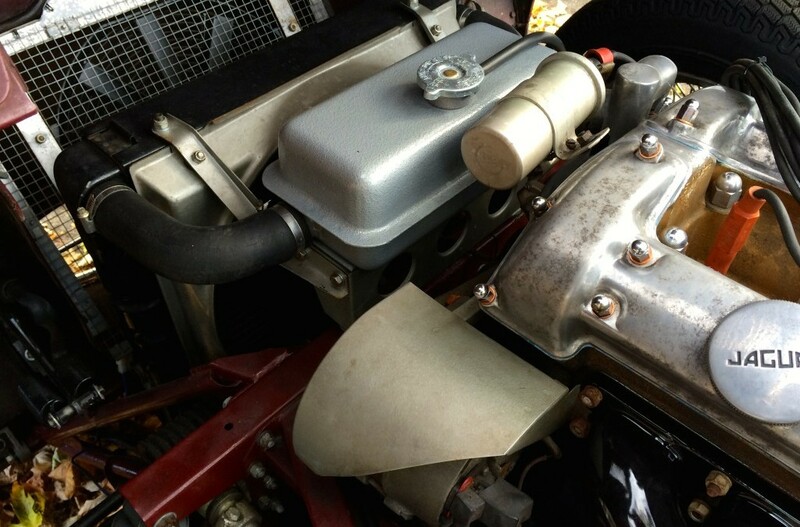 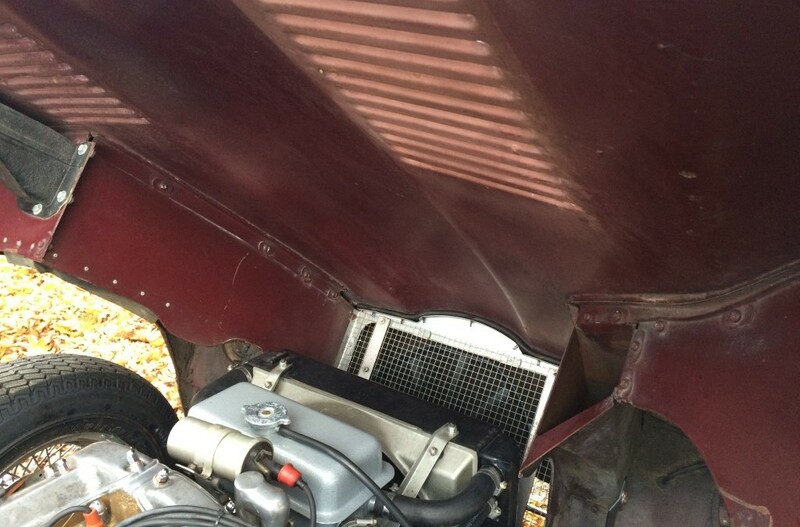 The engine is very strong and runs perfectly cool. 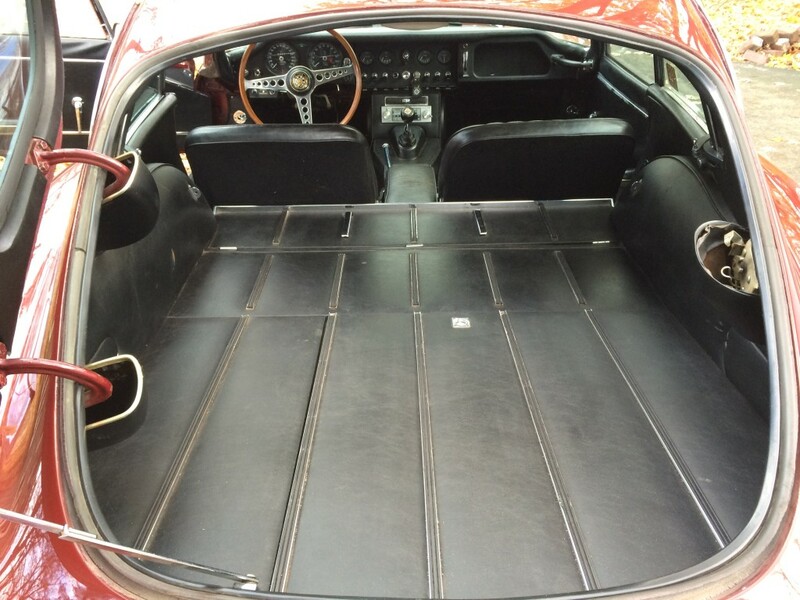 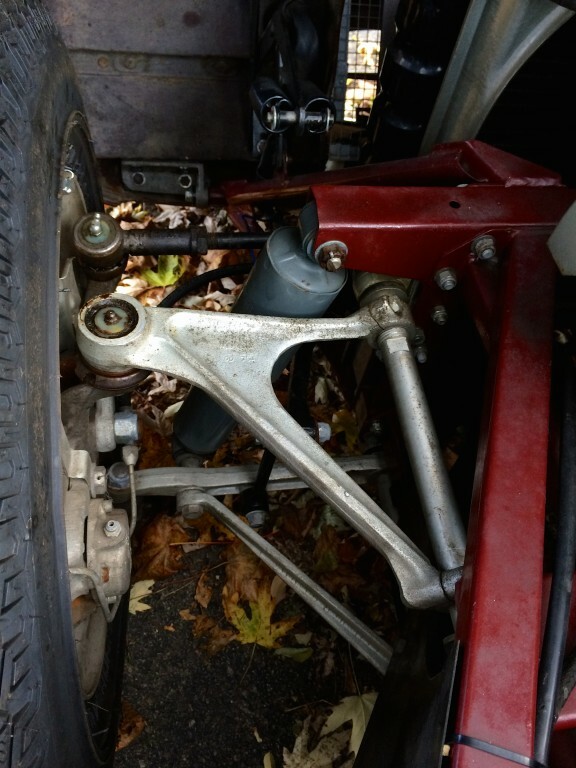 The chassis is tight and athletic, again, as one would expect from an E Type that was never in boxes or assembled from rusty E Type remains. 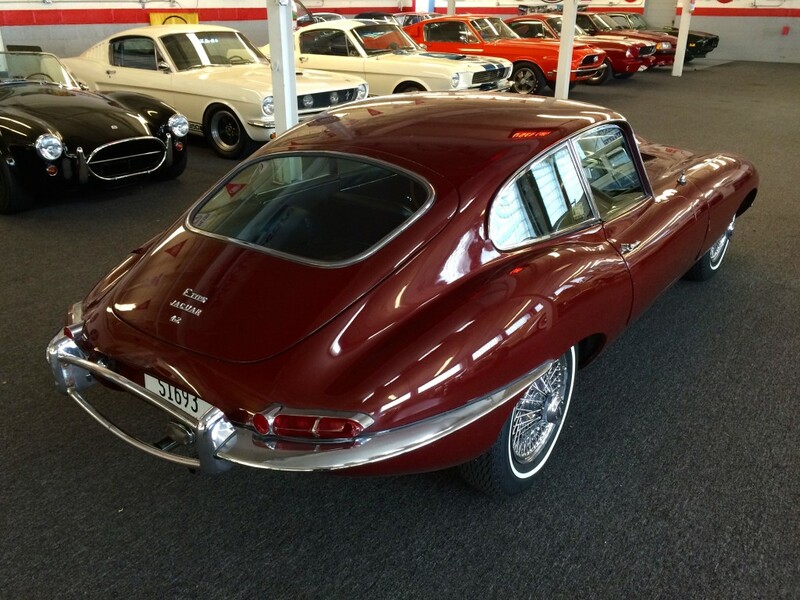 Cosmetically the car wears most of its original factory applied Opalescent Maroon paint, with some spot repairs performed over the years. 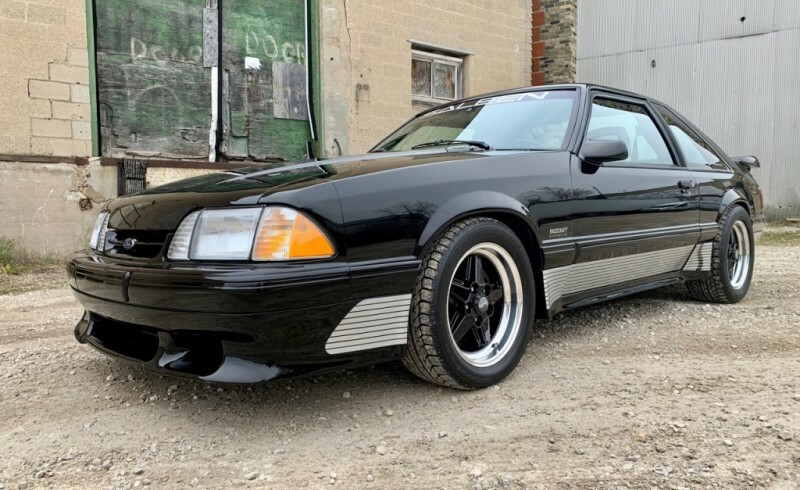 It does have a fair amount of road and garage rash but has a wonderful honest appearance befitting a one-owner garage find. 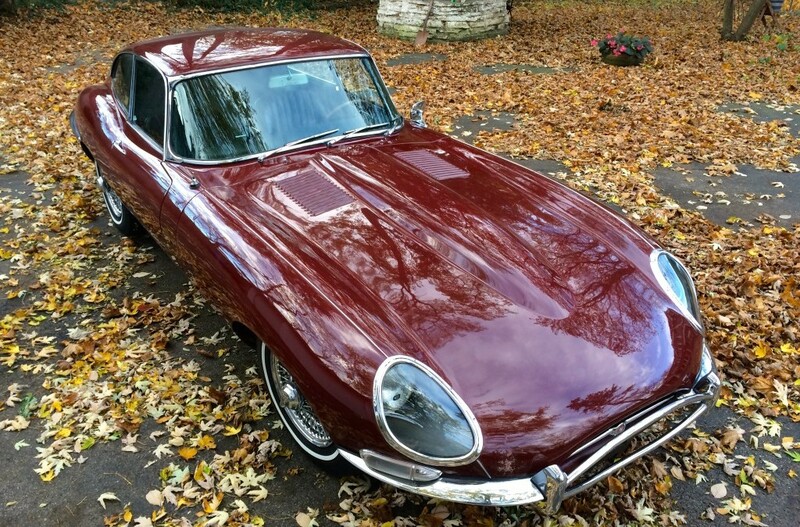 Of course, as you may suspect from a car with such low mileage and sunny day use only, there is no rust, another rarity among E Types. 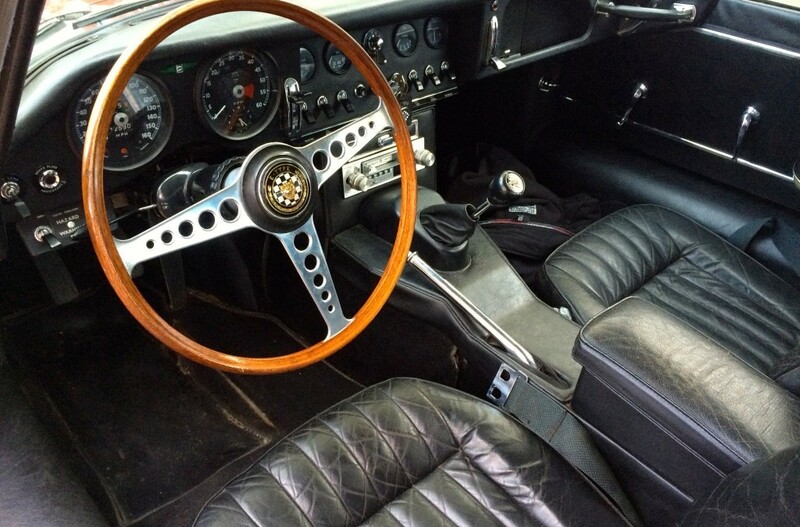 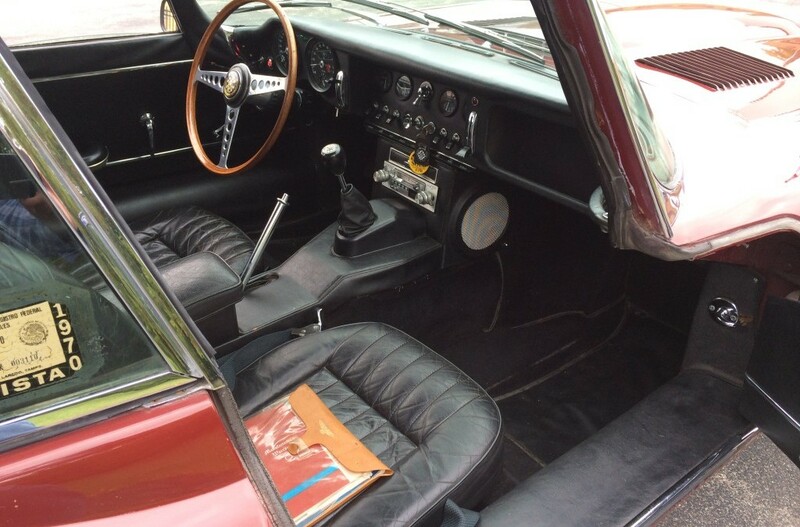 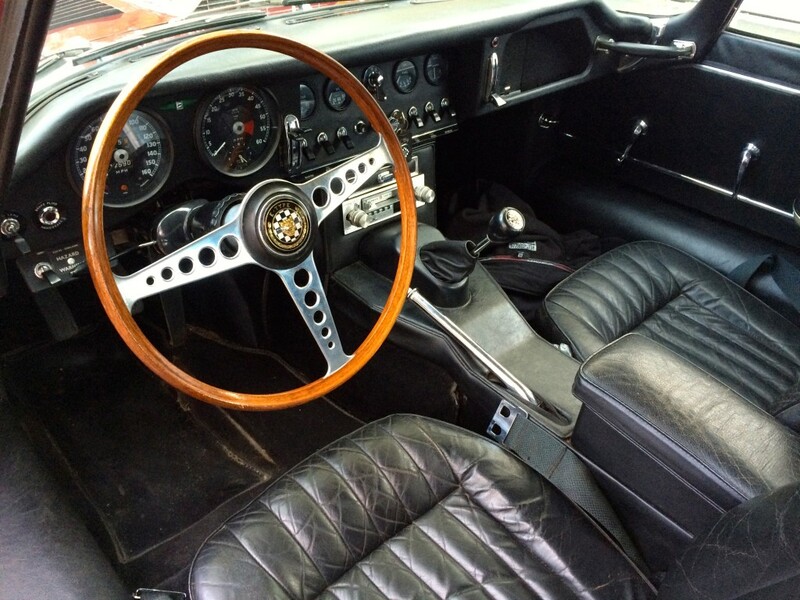 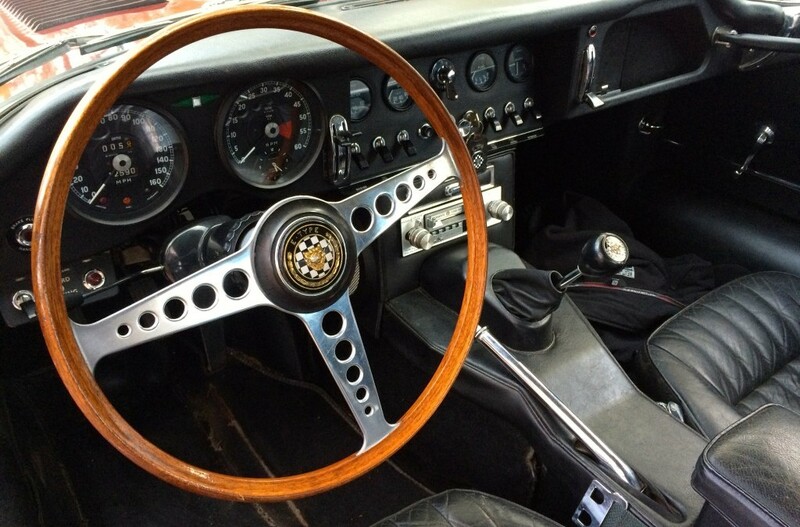 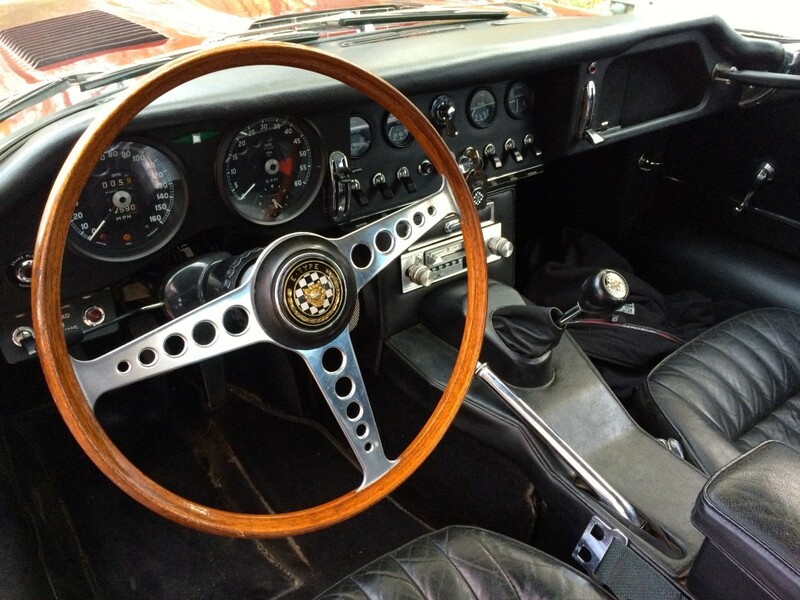 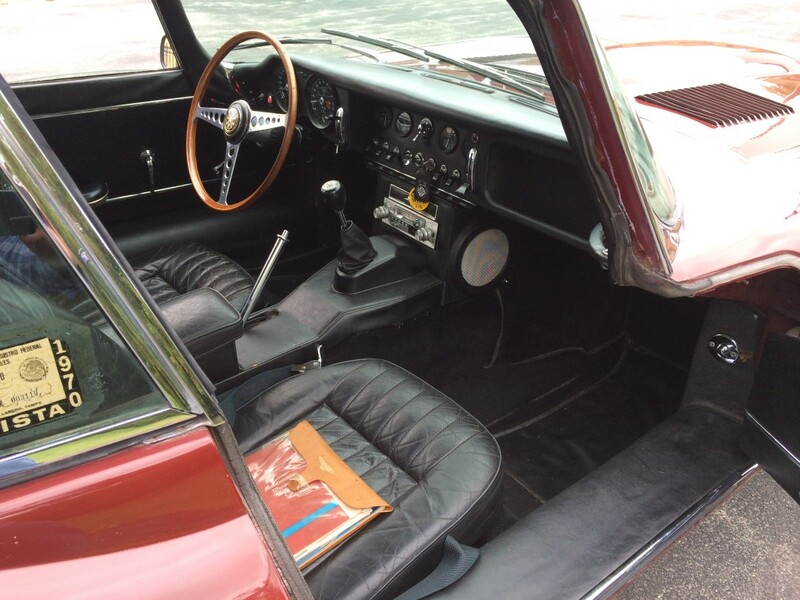 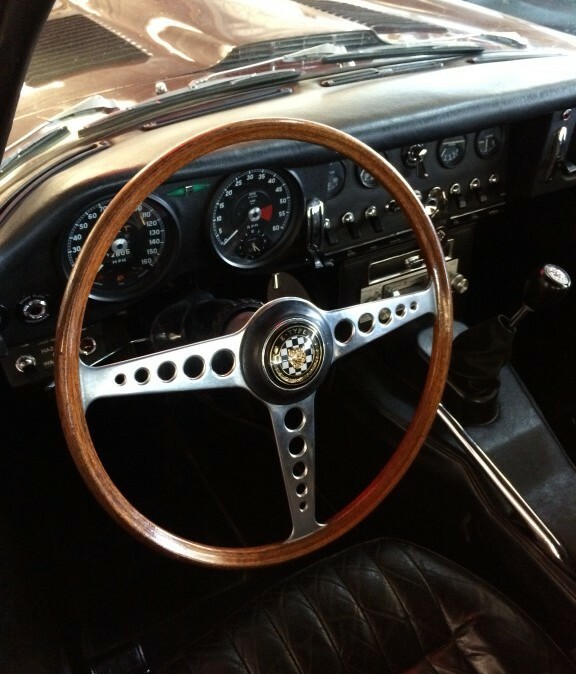 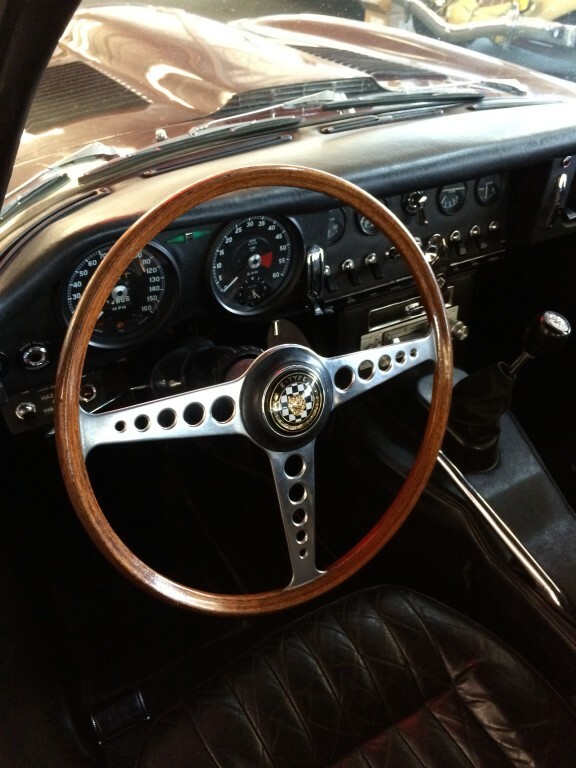 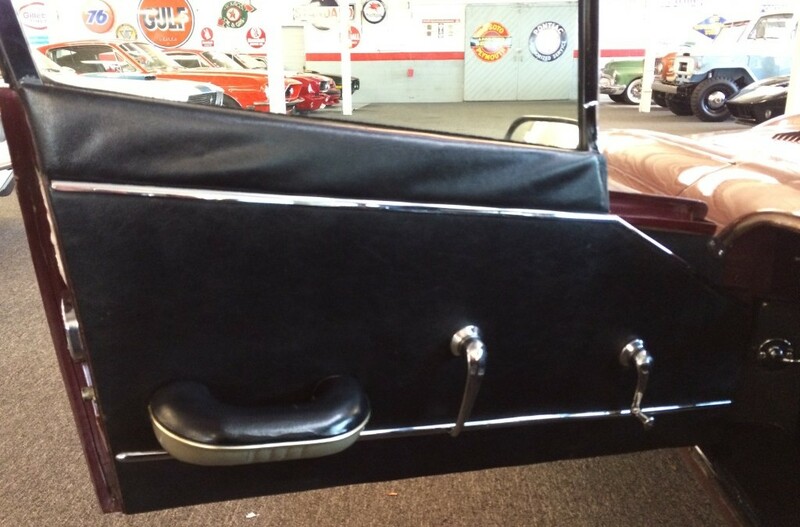 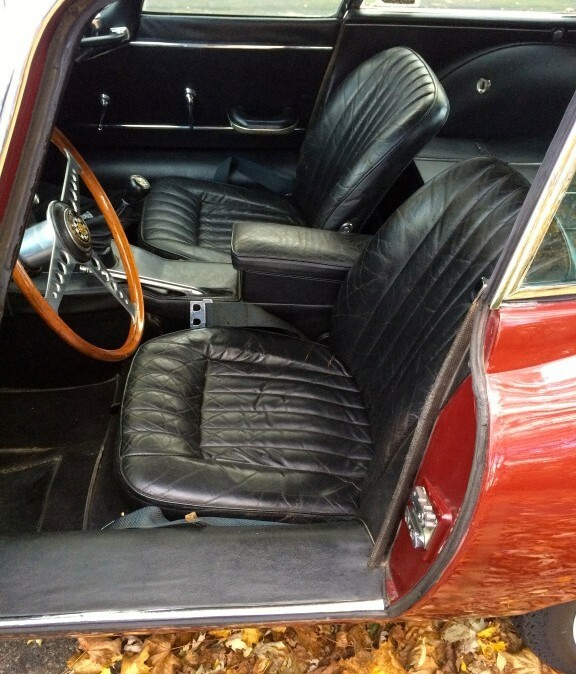 The original black interior is simply sensational, and one of the finest original E Type interiors you will find. 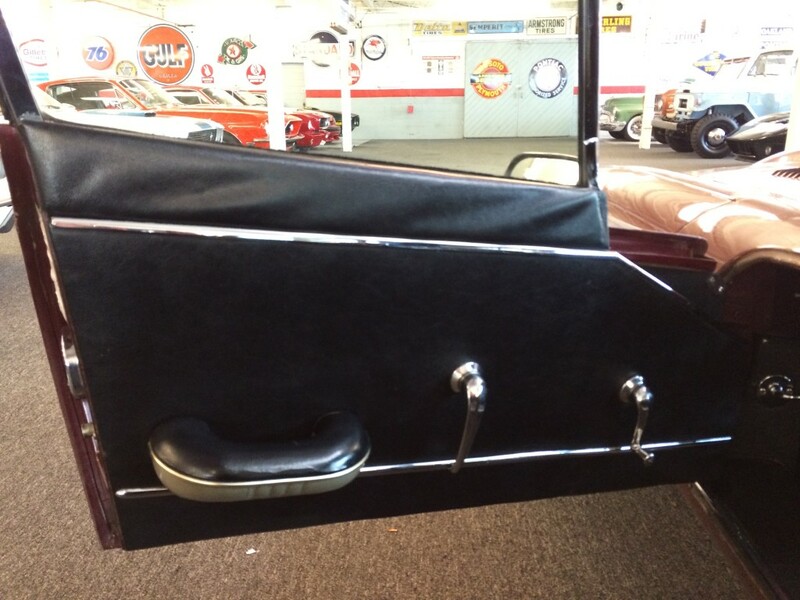 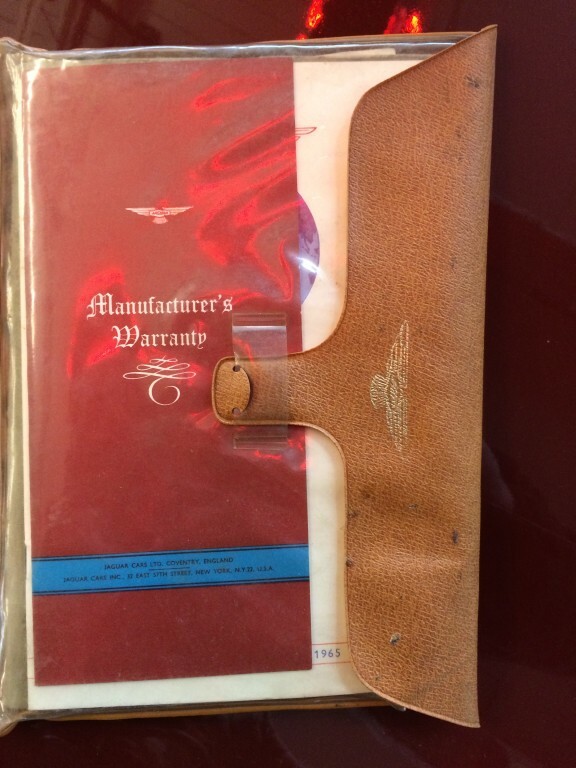 The original Connolly leather is soft and has never been dyed or repaired, and all of the vinyl and trim is quite impressively preserved. 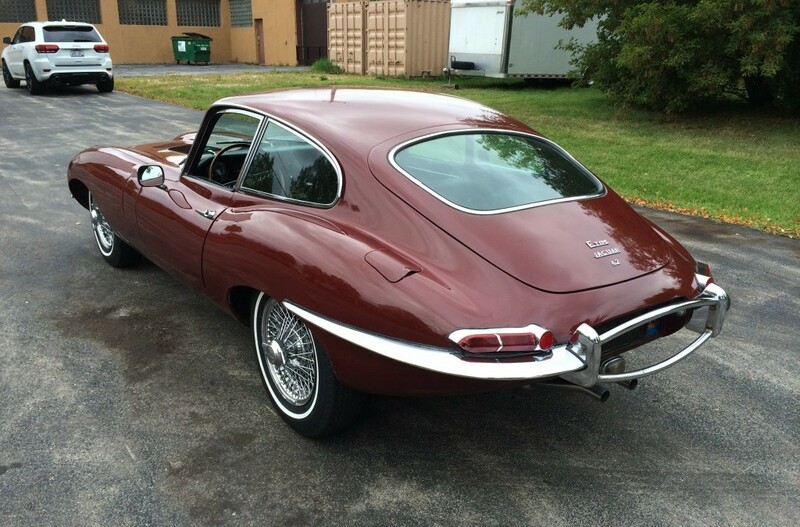 All of it, again, presenting as a 12,000 mile car should. 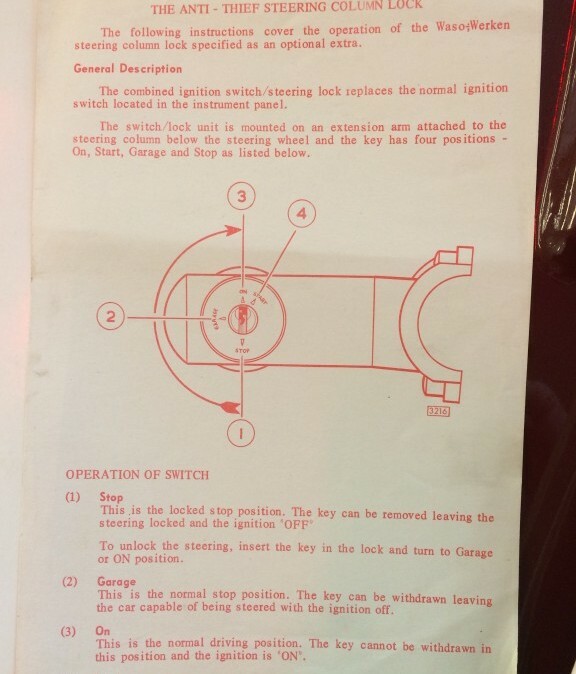 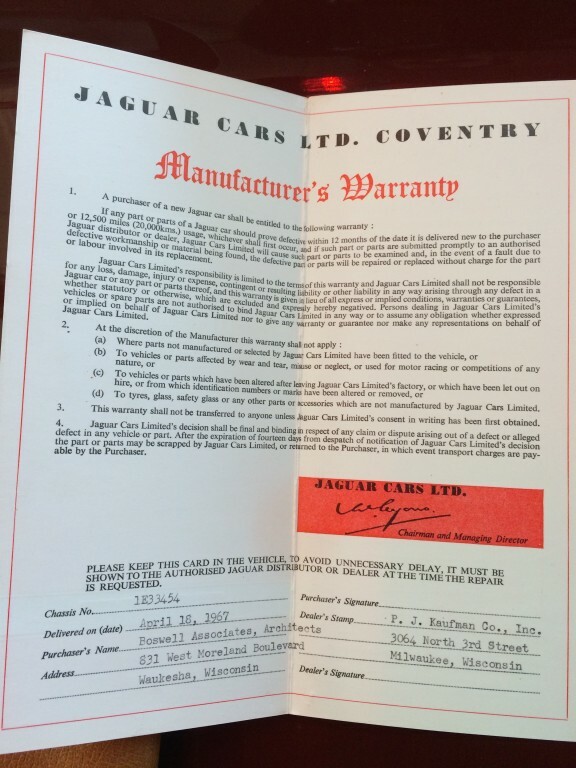 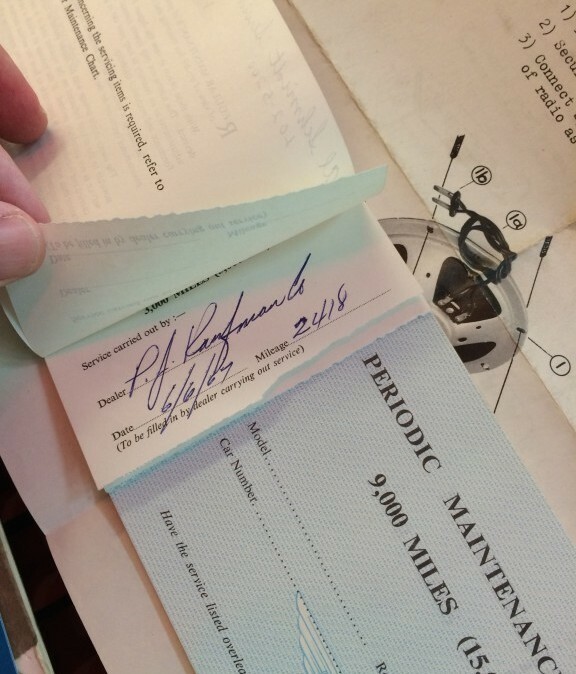 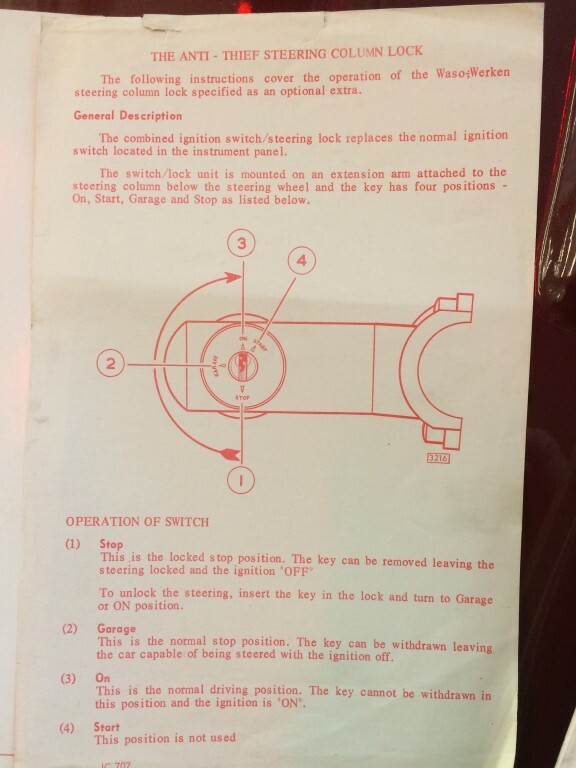 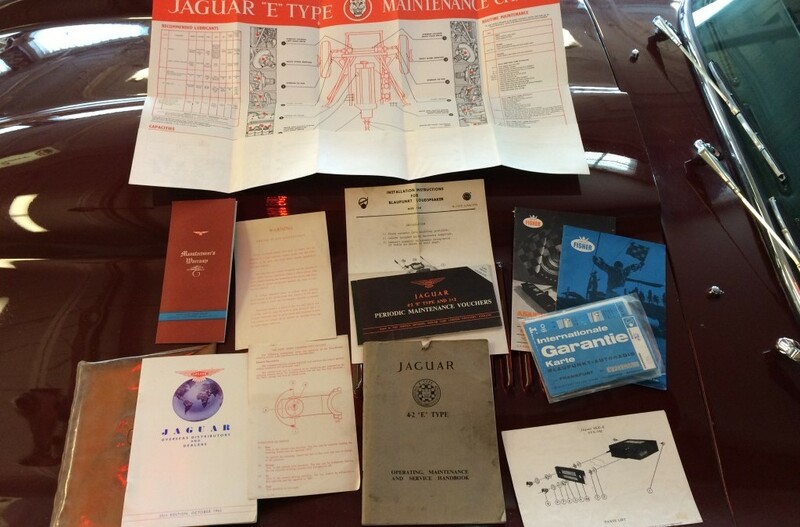 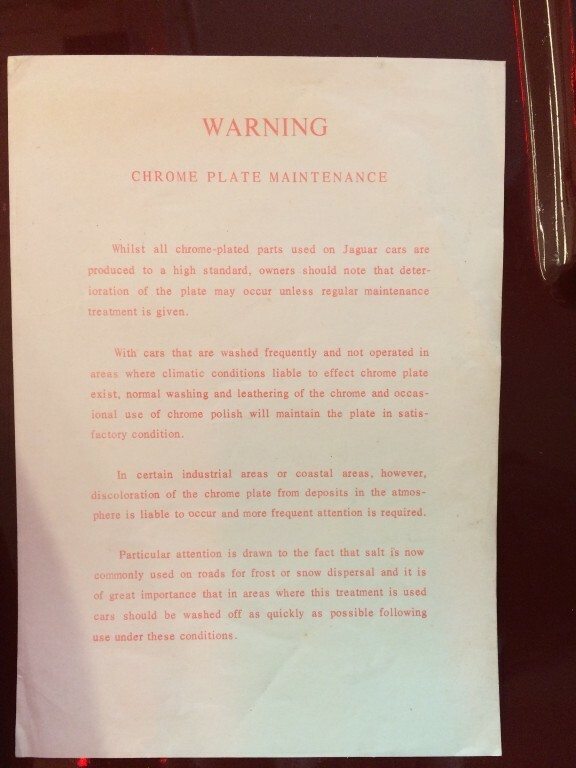 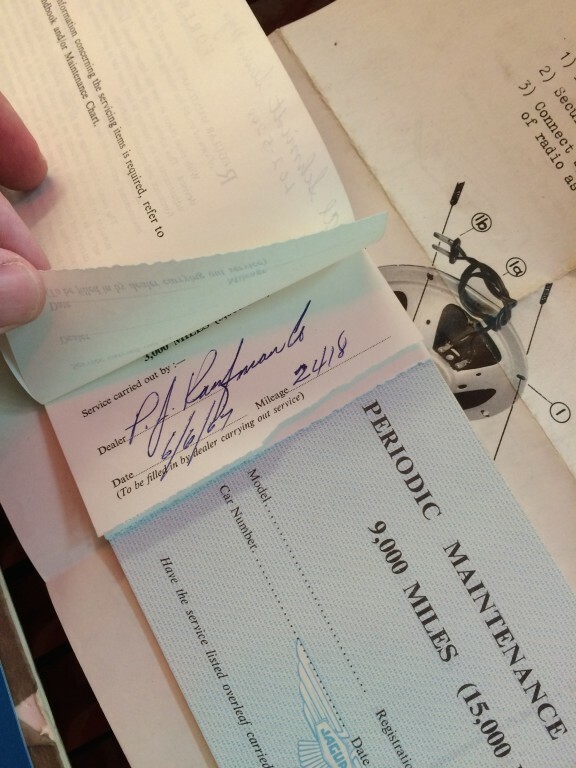 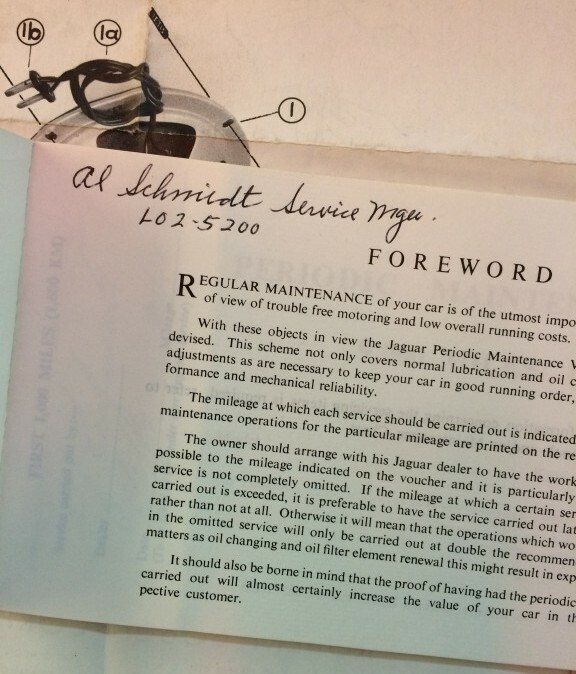 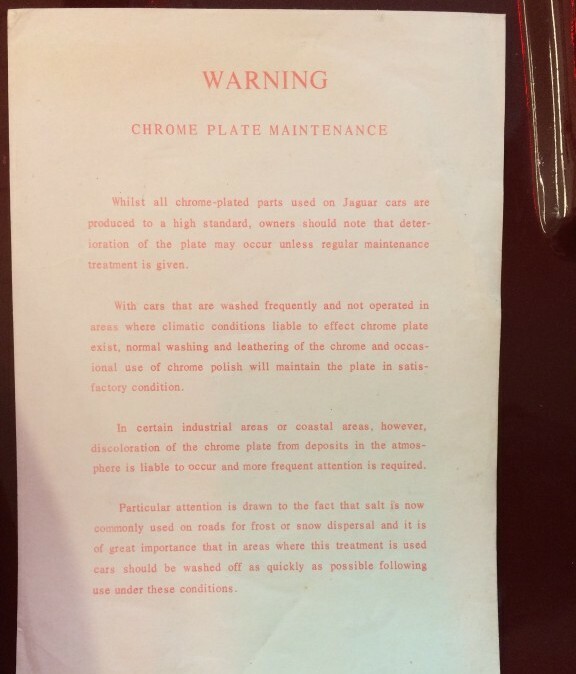 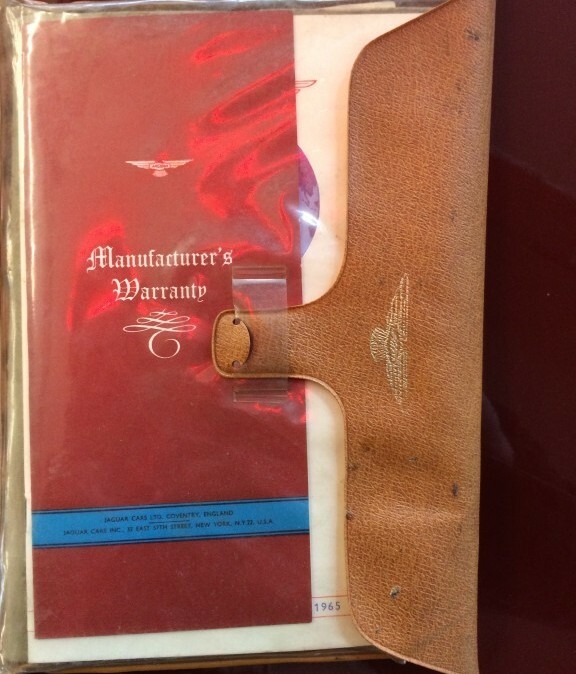 Most impressive is the documentation, which consists of every book, brochure and other factory paperwork that came with the car when it was new, all neatly organized in the original Jaguar owner’s folio. 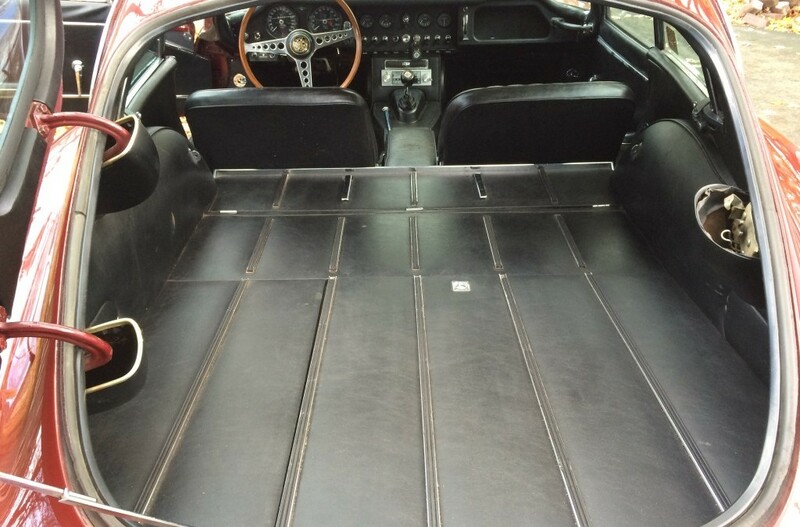 Rarely does the opportunity present itself to acquire a 12,000 mile, original and unrestored E Type. 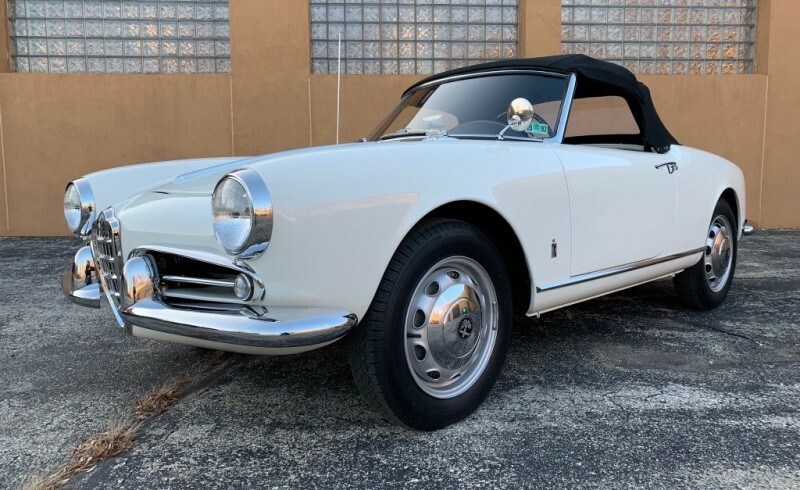 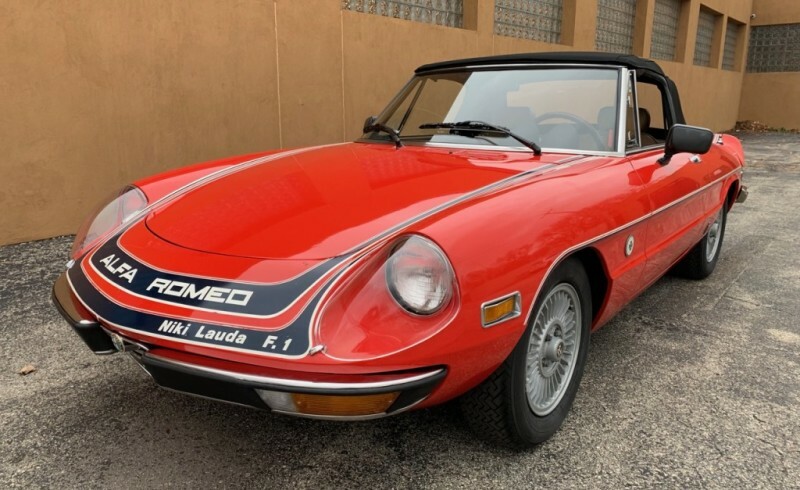 The fact that this one is essentially a one-owner final year Series 1 FHC in a highly desirable color combination certainly makes the opportunity that much more impressive. 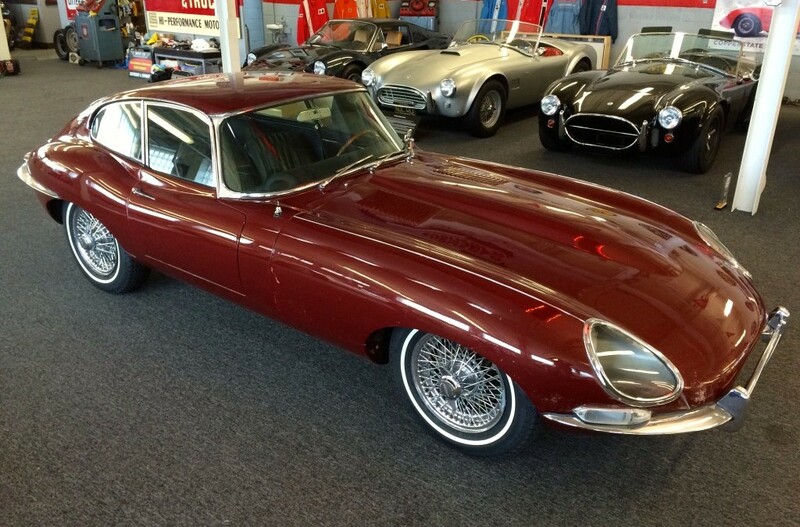 There is no question that restored E Types are bringing record prices at auction today, and there is really no comparison in my mind between a restored E Type and a time-capsule unrestored one such as this for many reasons. 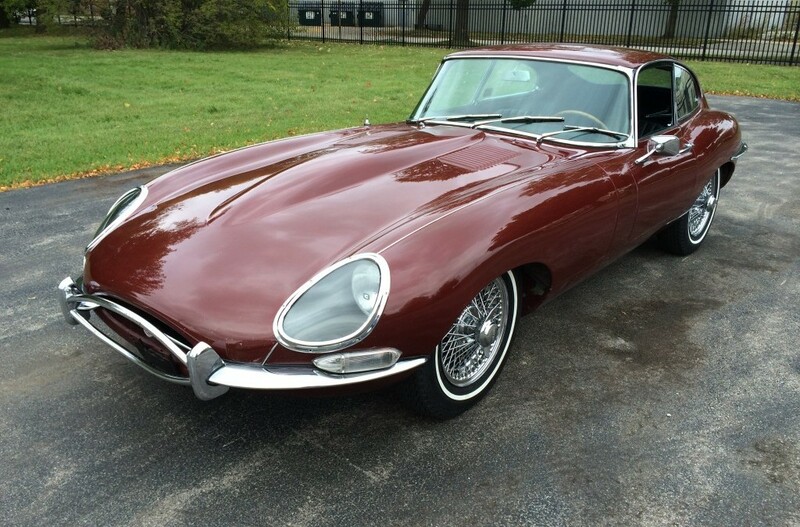 If you agree, and have been looking for an unrestored S1 E Type, this one in a million find deserves a close look. 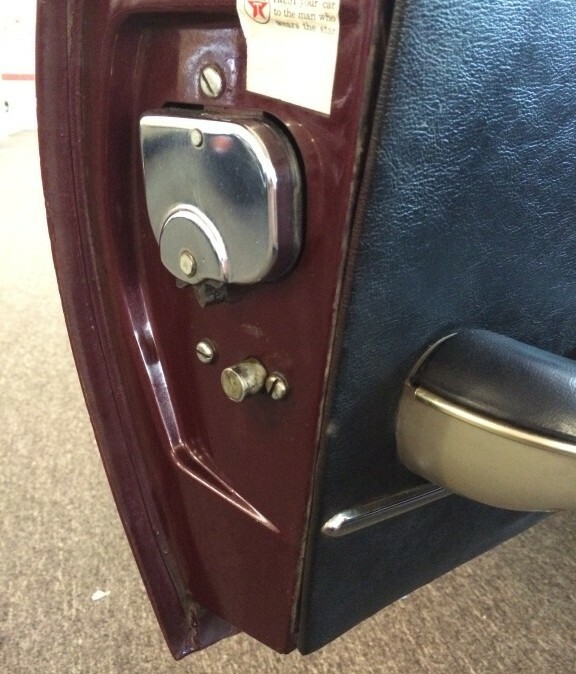 I suspect it will not be here long.